You hit publish on your blog post and then you get started on promoting it all over your social media channels. You’re pumped because you know your readers are going to love reading your post on Budget Friendly Tips for Families, and you’re sure they’ll come away with a few new ideas. You jump on Twitter and right away you notice another blogger shared a post similar to yours. On Pinterest you see several posts on budget friendly tips for families. You start to doubt whether your post really is going to be helpful, and you start to feel everyone is blogging about the same topics. And, you know what? They are! There are around 152 million blogs out there and you can bet a lot of bloggers are blogging about the same topic. How do you compete with others in the same niche as you, when it seems like everyone is writing about similar things? If you want to build a strong following of readers and supporters, you’re going to have to cut through the noise of other bloggers. Blogging can take up a lot of your time, right? Not only do you have to come up with your topics, but then you have to write your post, create images, promote it, respond to comments, email your list about your latest post, and then do it all over again for next time! But, if all you’re doing is writing about topics and not standing out, your readers are going to quickly forget about you and your blog – and all that time you spent on your content was a waste of time. Instead of focusing on everything that goes on with your blog, to stand out from every other blogger out there, you need to fill the negative space. What does this mean? It means doing things differently from your competition. Instead of following other bloggers, it means creating a new path, with new ideas and new ways of presenting similar information. 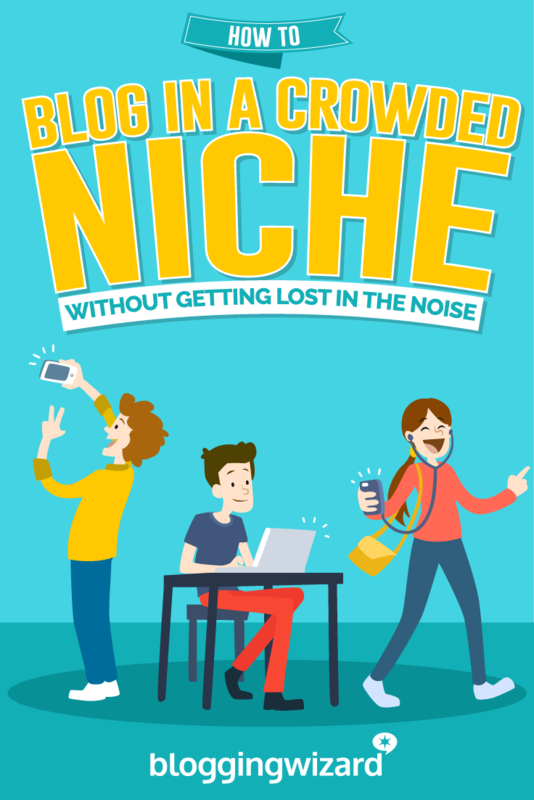 Let’s break this down into three core steps you need to follow to help you break free from the pack and become the lone wolf in your niche. What’s your strategy to come up with better content? For some, they need to take an hour to come up with all their content ideas for the month. For others, ideas just pop out of nowhere and they go with the flow. Still others base their entire content strategy around keywords and SEO tactics. To have an effective content strategy for your blog, consider these five elements. Before you write a single word on your blog post, do you have a firm idea of who your audience is? Are they mostly male or female? Are they younger Millennials or older parents/career focussed? Are they side hustlers or freelancers? Narrowing down your target audience can help you formulate your content plan. You may start out writing for work-at-home women, but your posts are attracting solopreneurs instead. There’s a lot of talk on social media about the perfect number of posts you should publish per week. Is it once per week? Three times per week? Daily? It all depends on a number of factors. If your target audience can’t keep up with your daily posts – while this schedule is beneficial from an SEO perspective – you wont be able to market and grow your blog properly. And do you have the time to publish multiple times a week? Don’t feel that if you can only publish once a week, your traffic will suddenly stop. Blogging takes time to generate traffic and a loyal following. It’s better to publish high-quality content once a week than to publish fluffy posts five times a week. How long will you make your blog posts? While Neil Patel can post high quality and long form content every day or every other day, most bloggers can’t keep up with this content demand. Depending on your niche, posts might be as short as a thousand words or as long as four thousand words. And even though research has shown that long form posts of at least 2,000 words do better online overall, don’t pull your hair out if you don’t reach that metric. Focus on the quality and solving a reader’s problem, rather than hitting a word count. You will naturally hit your mark when you focus on providing value. Do you know what sort of topics you will be covering on your blog? It’s okay; you don’t have to stick with the same topics forever. Many blogs go through a transition and transformation after the owner has been blogging for a while. 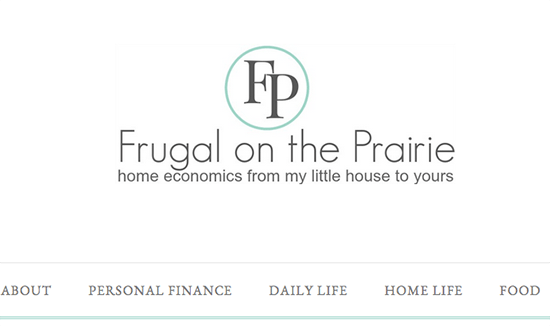 This is what happened to Allison Lindstrom of Frugal on the Prairie. When she first started, her blog focused on personal finance, daily life, home life and food. But, as she grew into her blog and found out what her audience really wanted from her, she changed up her topics and focus. Her main topic now is, money. One way you can stand out and be unique is with the tone and personality you give your blog. Will your blog be serious, informative, tutorial based, quirky, fun, or spiritual? Based on who you are as a person, you’ll probably want your blog to inject aspects of how you convey yourself. Having a bit of personality and your own voice as a blogger goes a long way to letting your readers get to know you on a friendlier level. It also resonates with your readers, making them remember you and like your blog. For example, Melyssa Griffin often uses casual language like yo or phrases like *drops mic* sprinkled throughout her blog posts showing her readers her fun and young personality. Now it’s time to get your spy hat on and start investigating what your competition is blogging about. Let’s take a fashion blogger. She has a blog and Instagram account. She’s been religiously posting three times a week, showcasing her style and writing posts on different outfits she puts together. But, she’s noticing no one is sharing her content or leaving comments. If we go to another fashion blog we notice tons of shares and comments. Why is that? One thing you should do as a blogger is to visit other blogs in your niche and start looking closely at their content strategy. How often do they publish their blog posts? What type of audience are they attracting? What kinds of posts are they publishing? How do they write their headlines? Which social media platform has the most shares? When dissecting another blog, you can start to see where your blog might be lacking. For this fashion blogger example, her blog might not be attracting shares and comments simply because she has more inspirational content, rather than informational content. Her post titles are more like, Fashion Finds, My Work Style, or Cyan Inspiration Outfit. But, from seeing her competition’s headlines, she realizes that she doesn’t have informational posts like “How to” type posts. People often come to blogs to help solve a problem, and if all your blog does is inspire people, it won’t stand out in your niche. Similarly, you might notice your competition receives more shares on Pinterest rather than Twitter. If you’ve been focusing your social media marketing strategy on Twitter, you might be missing your audience because they’re hanging out on Pinterest. By looking at how your competition blogs, it can help you see how your blog shapes up – and give you ideas on how to improve your content strategy. Now that you see where your blog is lacking, you can use that knowledge to make your blog better. This is what filling the negative space is all about – making the competition irrelevant by filling in the gaps in their blogs. Let’s look at Pinch of Yum. Lindsay started her food blog as a side hustle, blogging and sharing her recipes. Does this sound familiar? All food blogs do this. So, how did Pinch of Yum go beyond just a random blog to become a leader in its niche? Aside from doing income reports as a way to stand out, Lindsay and her husband noticed that bloggers were complimenting her photos. So, what did she do? She made an eBook on food photography, and later opened up a Food Blogger Pro course, effectively making her the expert in food photography and blogging. By taking one part of her food blog that she excelled at – photography – Lindsay was able to use her blog to create products and stand out in an ocean of food bloggers. It seems that everyone and even their pet has a blog. It’s becoming a regular pastime for some and a way to make a living for many. But that means you’re not alone, and it’s your mission to create a blog that stands out from others in your niche. Whether it’s targeting a different type of audience, using video instead of posts or becoming an expert in your niche with product development, you’re finding that negative space to fill. What’s holding you back from setting your blog apart in an ocean of bloggers that all write about the same topics?